Julio Barros needed a new button or icon design and created a contest on 99designs. Pikes Peak Viewer / E-String Technologies Inc.
I’m creating an interactive media reader for the iPad. Think of it as an ebook reader for interactive publications. It will allow you to play videos, sounds, animations in response to user actions. I foresee it being used to create interactive children’s books, how-to books, cook books, catalogs, brochures, pamphlets, etc. The working name for the project the generic reader is “Pikes Peak Viewer” (PPV). Eventually it will be rebranded into sub projects such as a kids book reader, or the how to reader. I’m looking for an icon that connotes both books and mountains, especially Pikes Peak in Colorado. 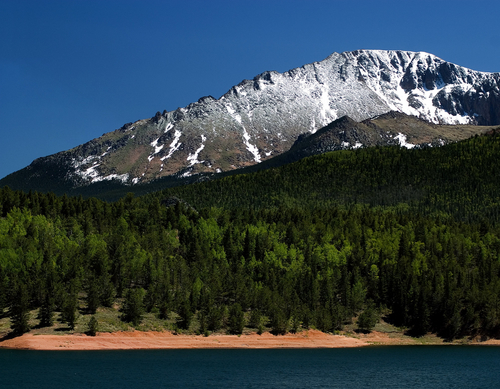 The reason for choosing the Pikes Peak mountain for the working name and icon (for now) is that I live in Colorado (an important point when I talk to people about it) and mountains connote views, achievement, inspiration, being on top etc. I think that an abstract icon would be better than realistic. The submissions should be SQUARE WITHOUT ROUNDED CORNERS and WITHOUT the gloss or shading you see on an iPhone/iPad. Also, DO NOT INCLUDE IPHONE/IPAD in your image. There should be no writing/text in the icon. All I want to see is your design as large and as clear as possible. For the winning entry, I will need icons of different sizes. They should be similar but can be specifically formatted (more or less detail) for their given size.